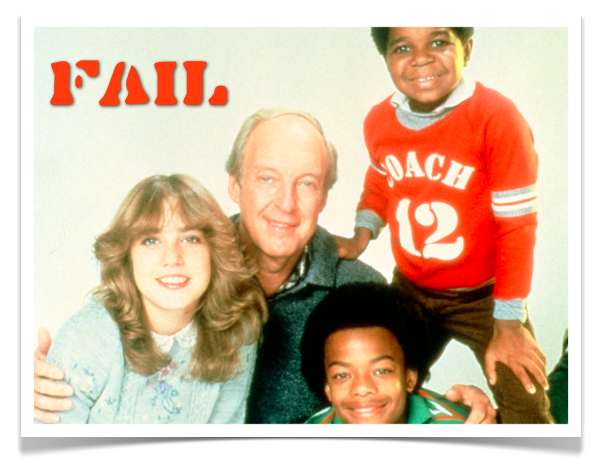 Home › Construction Spanish › Jobsite Leadership › Diff’rent strokes for diff’rent folks, right? Diff’rent strokes for diff’rent folks, right? Back by popular demand, here is free-agent-to-be Corey Walz’s second guest post on redanglespanish. He can be reached at cwalz@ou.edu. True, both are “Cerveza” (I’m a 5th year college student… I know cerveza.). But phonetically speaking, one of these is not spelled correctamente. Cerveza (thayr-BAY-thah) is Spanish Spanish. 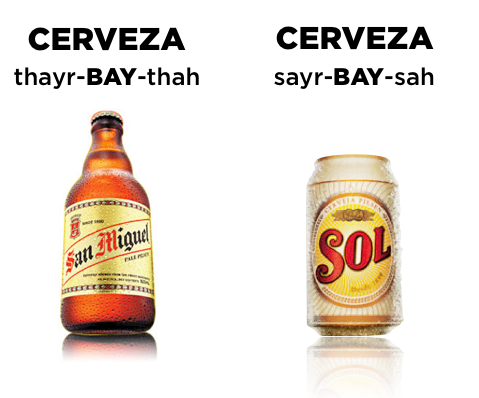 Cerveza (sayr-BAY-sah) is Mexican Spanish. This is my point. The lenguas are diferente. Just as English from England and English from the ole US of A are different. Just as English from North Dakota and English from N’awlins are different. Despite most people’s general understanding of multiple dialects within a single language, this cerveza diferencia has posed some problems for me. For example… here in Chicago, Mexican Spanish is the predominant lengua. After living in Spain, I speak Spanish Spanish. Now Mexican Spanish-speakers make fun of me (even though I speak the original Thpanith, cough…) because I say Cerveza wrong. Among other things. These are just two differences. There are many more, the most colorful examples of which are more R-rated than I am willing to explain on this platform. But buy me a cerveza and we’re on…. Know your audience. Don’t assume because they are speaking Spanish they are Mexican. Or whatever. The speaker could be Puerto Rican, Peruvian, Chilean, Argentinian, Spanish, or many other nacionalidades. Each has a distinct dialect. Pay attention to the cultures you are interacting with. If you didn’t, you’re wrong. 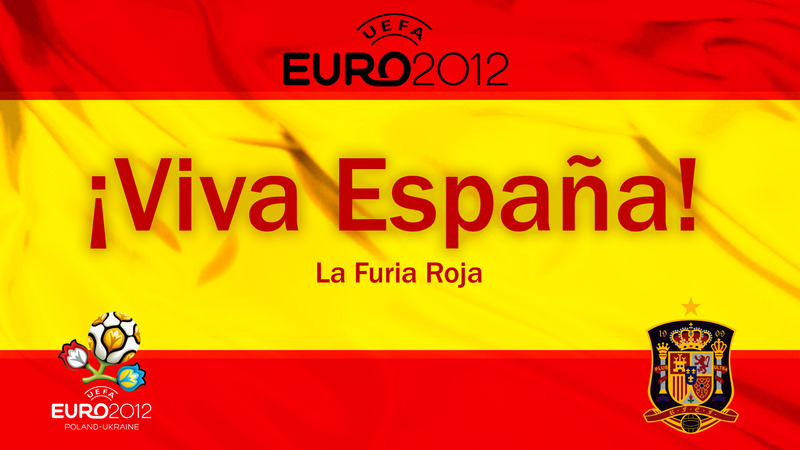 Spain is in the finals of EURO 2012. ‹ I Dare You to Say… En Fuego.